Despite a few complaints by me over the years, Reeder is still my favorite RSS reader on iOS and the Mac. I use it on my iPhone, my iPad, and my Mac. Recently, as have many others, I ditched Google Reader, but Reeder as an app will fortunately live on. Today, Reeder developer Silvio Rizzi, announced some big changes for Reeder. The big news is the fact that support and development for Reeder will still continue, despite Google Reader’s demise on July 1st. The other big news is that the current versions of Reeder on the Mac and iPad are now free. That is actually a very smart move for Rizzi, because potential users have likely been hesitant to purchase the app with Google Reeder’s sunsetting scheduled in the near future. Now, any potential fence sitters have no reason to not at least try Reeder to see if they like it on these platforms. If they do, then perhaps they’d be willing to purchase a future version with added support for Google Reader alternatives. The iPhone version has always been the version of Reeder that’s stayed ahead of the curve, hence this price change won’t impact that version. As it stands now, you can use the iPhone version with an alternative RSS service called Fever. I’m currently using Fever, and I love it. Even more support for services like Feedbin will be added with version 3.1. If you’re one of the few that hasn’t already purchased Reeder on the Mac or iPad, then head over to each respective store and download Reeder for free today. 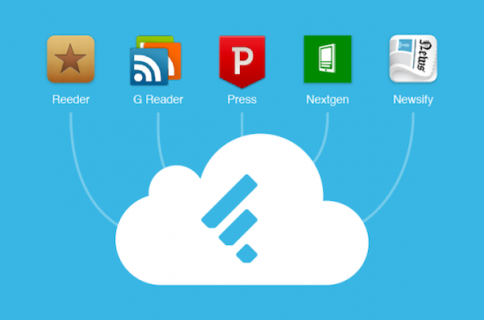 Also, be sure to check out Cody’s awesome post highlighting the best Google Reader alternatives.